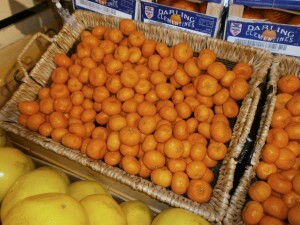 One of my favorite sources for citrus is Plum Market in Ann Arbor, MI. They are the second best thing to go directly to California and buying mandarins directly from a farmer’s market (which I did in 2011). So when my food budget started over again for the month of January, I headed over to Plum to see what they had in the way of citrus. 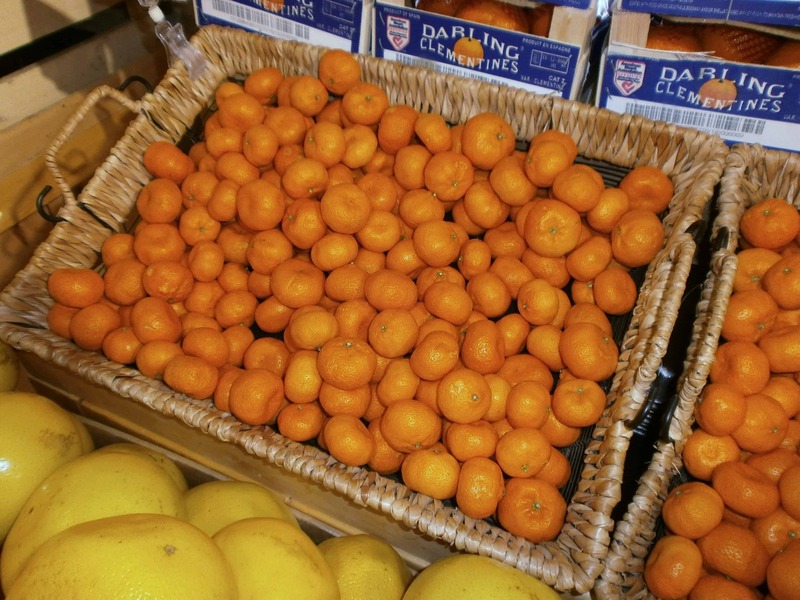 I was not disappointed when I discovered another mandarin I have had not before – the Kishu. This was the smallest mandarin I have ever seen, even smaller than the Pixie. It’s not bigger than a walnut. I bought a handful to take home and try. The Kishu belongs to a family of small mandarins that have their origins in China. The Kishua is available in the U.S. from December through February. It’s a nice mandarin. It’s equally balance between sweet and acidic. The flavor is a set up from the popular Clementine mandarin. It is extremely easy to peel. The segments are really small. You probably could pop the entire thing in your mouth at one time (I resisted the urge to do so). Not the best mandarin I ever had, but a good one none the less. They make a good choice for kid’s lunches and salads. Too small for juice and zesting (would be a lot of work). Previous Post: « What to Do with Flank Steak?